Designed for the most heavy duty applications, from rental to convention center. 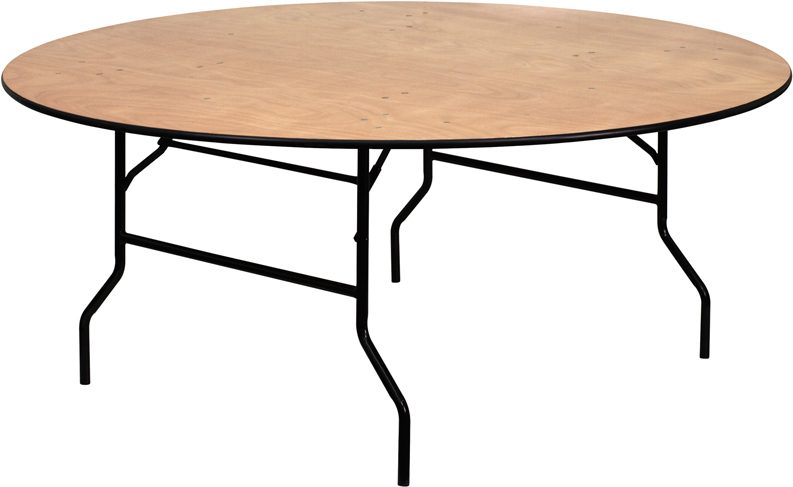 This table features a 3/4" thick lacquered plywood top, and vinyl edge mold. It has "hardwood runners" for long term stability. This table also comes in other sizes as well. Plywood top tables are meant to be used with a table linen. This is because the flush "bolts" show on the top.